Ajax-sweater senior colored in blue. 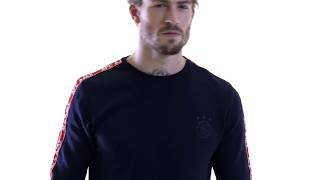 This sweater is designed with the Ajax-logo on the front. The sleeves are designed with a subtile line with the text AFC Ajax. This Ajax-sweater-blue with the Ajax-logo is part of the official casual collection of 2018-2019.